What smartphone are you using? the iPhone X or the Samsung Note 8? or others? Most users like the Apple devices, especially the new iPhone X and iPhone 8. At the same time, we can’t ignore the Android smartphones, like the Billion Capture+, Zen Admire Unity, Panasonic Eluga I5, HTC U11 Life, Karbonn K9 Smart Selfie, etc. Whatever Android device you are using, we all meet the same trouble: Can’t play the DVD on android devices directly, because the small smart phones has no DVD drive. Is there way to play the the various DVD on Android devices? It’s easy, you just need one DVD ripper which can rip and conver the DVD to Android supported video formats. Like the Handbrake which is a open source software, you also can try the MakeMMKV which is as popular as Handbrake. Also you can try the Bytecopy which is a professional DVD ripper. We will show you 3 ways to convert the DVD to Android devices. Bytecopy is a perofessional DVD ripper which can remove the most DVD copy protection and provide you 300+ video formats, such as: MP4, MKV, MOV, H.265, H.264, etc. At the user-friendly interface, you can choose to output DVD movie with forced subtitle. You also can copy the full DVD disc with all the DVD content, which can keep the DVD subtitles, chapters and audio tracks. For 3D fans, you are luck to be here, you can get the 3D videos from the common DVD. Know more, you can read the Bytecopy review. Step 1. Load DVD disc by clicking File > Load from disc, you can also input DVD disc image, DVD folder, even any Blu-ray sources are supported too. Step 2. Click Format to choose the output video, you can choose MP4 which is wide used by most Android devices. You also can choose the Android device preset or other Android devices. Step 3. Press Convert button to start DVD to MP4 video conversion, when you are waiting for the result, you can watch the video at the preview window. 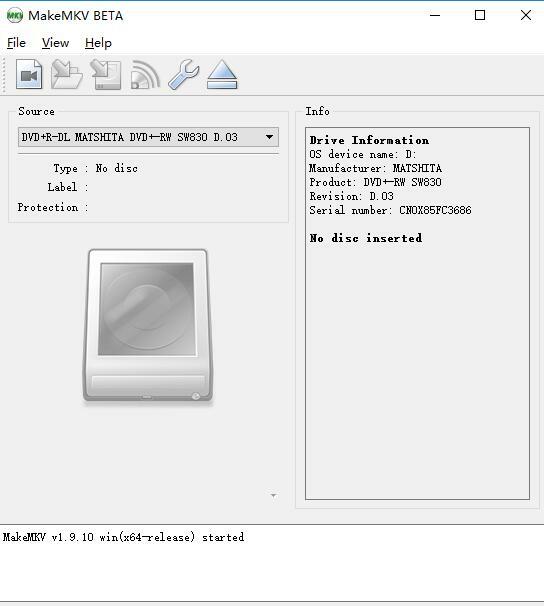 MakeMKV is an excellent DVD converter, which is also known as transcoder and is able to convert the DVD and Blu-ray discs to MKV ( MKV is a container that can hold multiple video and audio tracks while preserving most of the original information – including all the meta-data, chapters and so on). Step 1. Download and install MakeMKV. Step 2. Put a DVD movie into your PC’s DVD drive, and click the Blu-ray button in the middle of the screen. Step 4. When the DVD Ripper is done, select the location for DVD movie in the Output Folder menu box, click “Make MKV”, and wait. Expect an average DVD disc to take at least 30 minutes to rip to the hard drive. 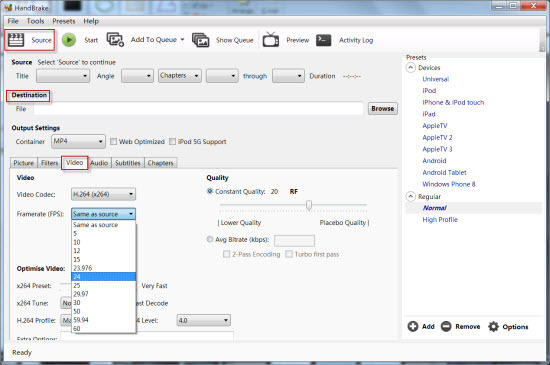 Handbrake is a free and open-source transcoder for digital video files. Handbrake is a old friend for some DVD fans, it is originally developed in 2003 by Eric Petit, we all know that Hanbrake has updated to Hanbrake 1.0.7 version, which is more powerful than Hanbrake 1.0.0. You only can get the MP4 and MKV video formats, at the sam time, you can’t rip the protected DVD in Handbrake, you need to Install Handbrake Libdvdcss to rip DVD. Step 2. After you’ve loaded the video click Browse and select the output file. You should choose mp4 in the output settings, then click the Video tab and move to the next step.